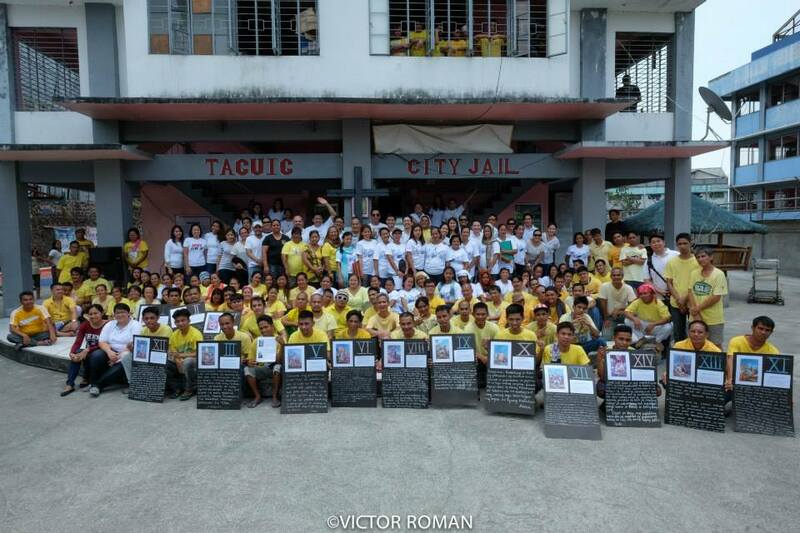 As part of the recent Lenten celebration on Black Saturday, a group of more than 30 volunteers of the Single Young Adults (SYA) joined together to answer the call to share God’s love to a hundred selected residents of the Taguig City Jail (TCJ). LC: It was my first time to go to the jail and spend time with the residents inside. I was actually excited because it was one of the first few SYA activities that I attended after joining the recent 29th SYA Weekend Retreat. 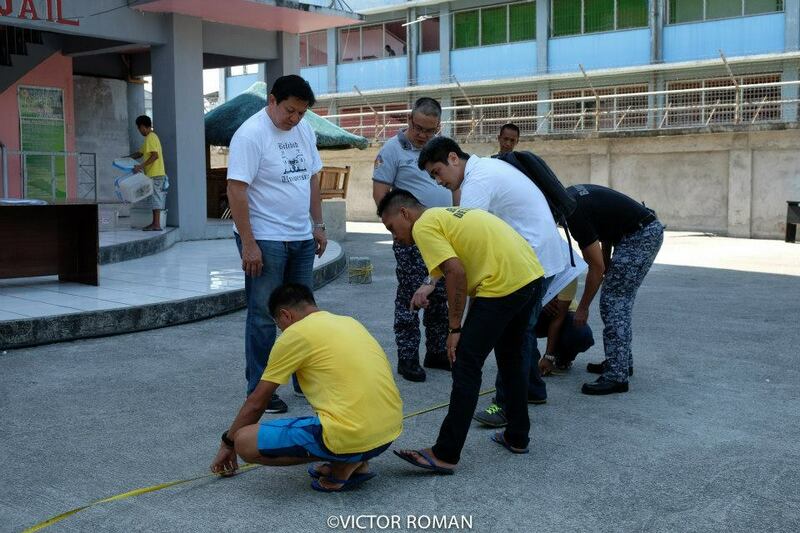 I decided to join the activity because I was moved by the note in the SYA invitation to “spend some time with the least, the last, and the lost.”I thought I would get nervous around the inmates residents but I actually felt safe as I know my faith family is there with me and that we were there to share a moment, listen, talk to them, and most importantly, to commemorate Jesus’ suffering and death until his resurrection on Easter Sunday. RIA: This was my second time in TCJ but have been attending prison ministry events for the last three years. I always come in a little nervous, because I don’t know what to say and am very challenged in Tagalog. 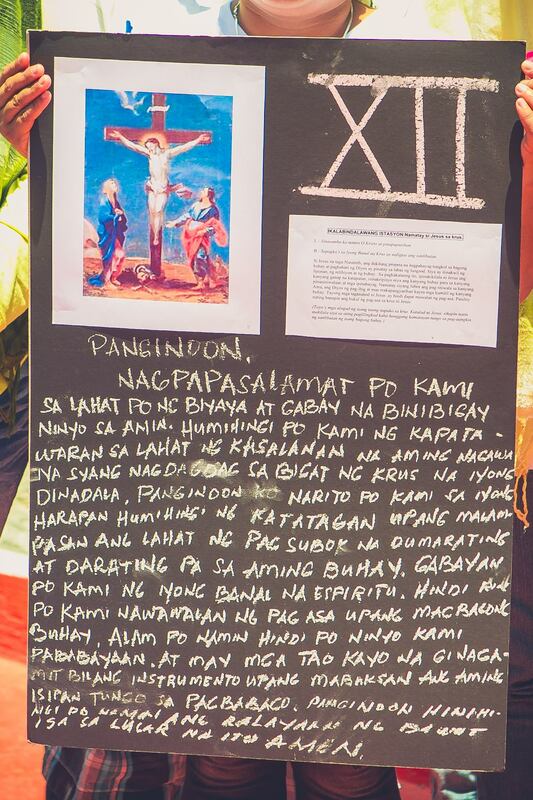 We were tasked to talk about the Stations of the Cross and how the different stations were relevant to the residents and then to finally reflect and write a prayer on the station assigned to us. It’s always a bit stressful and nerve wracking – what will I say? I may say the wrong thing? What if they ask me something about our faith that I cannot answer? However, when we broke into share groups and started explaining the stations, I felt like the Holy Spirit had given me the right words to say for each station and sufficient taglish to be able to communicate. Two SYA volunteers were assigned to each group of TCJ residents in order to facilitate the discussions and sharing of reflections on each of the 14 stations of the Cross assigned to them, after which a prayer will be prepared. We started asking them how they spend their Holy Week when they were still outside of prison. They were hesitant at first but eventually some of them shared how they did the Way of the Cross. Most of them joined the “Alay Lakad” walked all the way from various places until they reached their destination in Antipolo. Another one was active in the Passion play, and one of them reminisced how she enjoyed cooking suman for her children and spent the quiet time with her family. With their stories, one would think how normal their lives were at that time, it seemed they had no worries, nor problems, and for a brief moment, I forgot we were actually inside an institution where their activities were very limited. The reflections they shared about the stations were very moving. When the residents started sharing their reactions and their stories, you could see that their reflections were truly coming from the heart and not just words that they were saying that we might like to hear. They expressed how they related themselves to Christ’s sufferings: how they felt humiliated and gave humiliation to their families for the grave mistakes they did, how they tried to stand up and change only to fall back to their previous faults, how they see their families too share the cross they carry by taking care of their children instead of them doing that responsibility, how some of them felt alone, neglected, and forgotten. It was evident how they felt remorse for the reasons they were in jail. Yet when we shared on the station assigned to our group, the 12th station, when Jesus died on the cross, we all felt humbled of God’s love for giving up His life for our salvation from sins; that there is always hope and a new day to live a new life with Him. Lord, unang-una po, nagpapasalamat kami sa lahat ng biyaya at gabay na binibigay ninyo sa amin. Humihingi po kami ng tawad sa lahat ng kasalanan na aming ginawa na siyang dumagdag sa bigat ng krus na inyong dinadala. Panginoon namin, narito kami sa inyong harapan, humihingi ng katatagan upang malampasan ang lahat ng pagsubok na dumarating at darating pa sa aming buhay. Gabayan po kami ng iyong Banal na Espiritu. Hindi rin po kami nawawalan ng pag-asa upang magbagong buhay. Alam po naming hindi ninyo kami pababayaan at may mga tao kayong ginagamit bilang instrumento upang mabuksan an gaming isipan tungo sa pagbabago. Panginoon, hinihingi po namin ang kalayaan ng bawat isa sa lugar na ito. Amen. RIA: I think the residents felt that although they have committed grave mistakes, they are not abandoned by God. They may not have their families visit them but there are strangers who took the time to sit with them and listen to them. I feel like this was God’s way of reminding them that He loves them and wants them to change for the better. Although we may have more to share with them in terms of money and goods, they have a lot of things to share by their experiences and their words. We never have too little in which we cannot help others. Our small actions, like donating a bar of soap or spending a morning with people who need our time can go a long way. The activity did not end there. 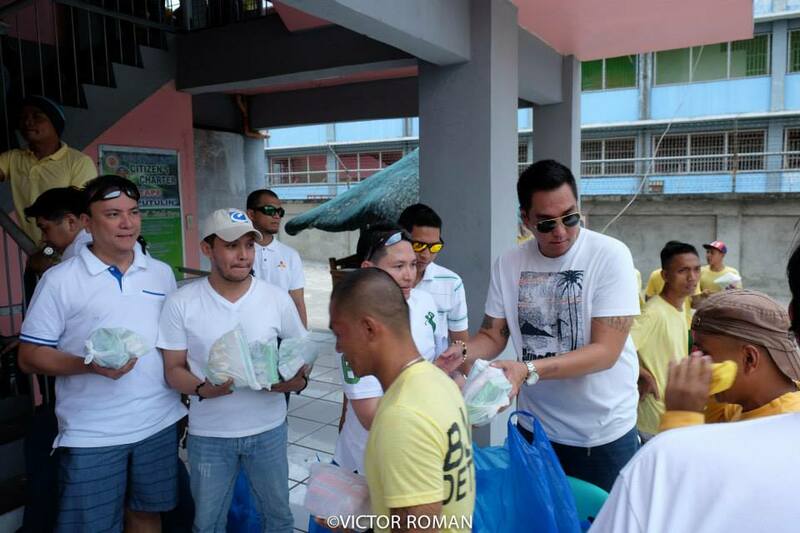 Jerome Capili, a Prison Minsitry volunteer and catechist, who also celebrated his birthday at that time, shared his blessings by taking charge of the residents’ lunch. The SYA volunteers also shared the simple gifts of toiletry items to the residents. I will never forget how thankful the residents were after the activity. LC: Their tears during the sharing became smiles and their eyes were full of hope. Hope for freedom to do the simple things such as being able to share moments with their families, to live a new life outside with God’s guidance, and all the unspoken wishes, are what we pray for them. Hugs and well-wishes were exchanged, but most of all, the experience to remind the residents that they are never forgotten and that they are loved will stay in our hearts. We would like to appeal for your help and support in building a “GREEN – MULTI- FAITH CHAPEL” inside the compound of Taguig City Jail. This structure will be of great help to the residents. They can have their weekly masses and other activities there. For pledges and donations in cash or in kind will be much appreciated. 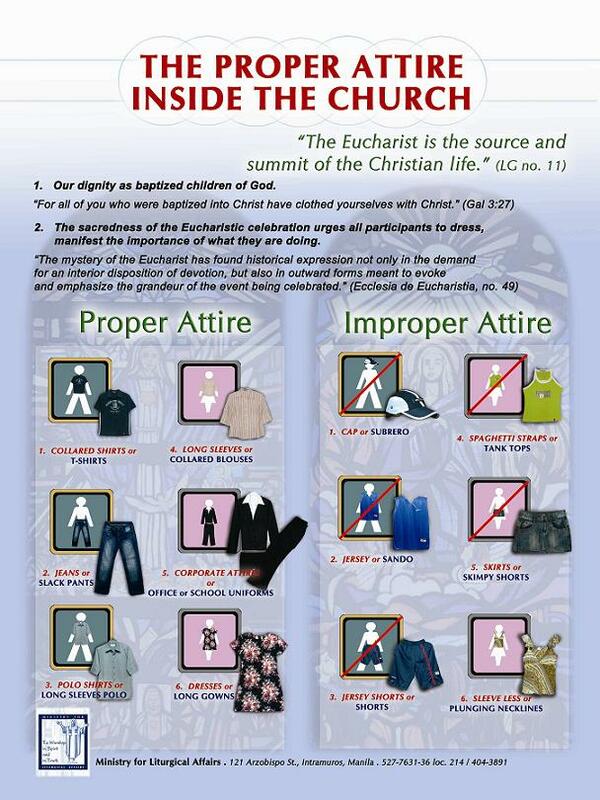 Please get in touch with me or with our Social Worker Ms. Nimfa Dumago at the parish office. Thank you very much.